On this page you can find useful and interesting information about becoming and keeping fit and healthy. Tapioca - How to outwit Miss Marple! Water Chestnut - Ready to take the bull by the horns? 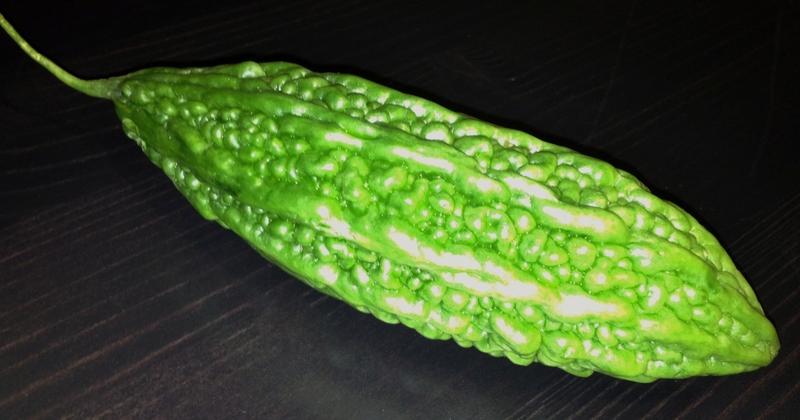 Bitter Gourd - An alternative to diabetes tablets? 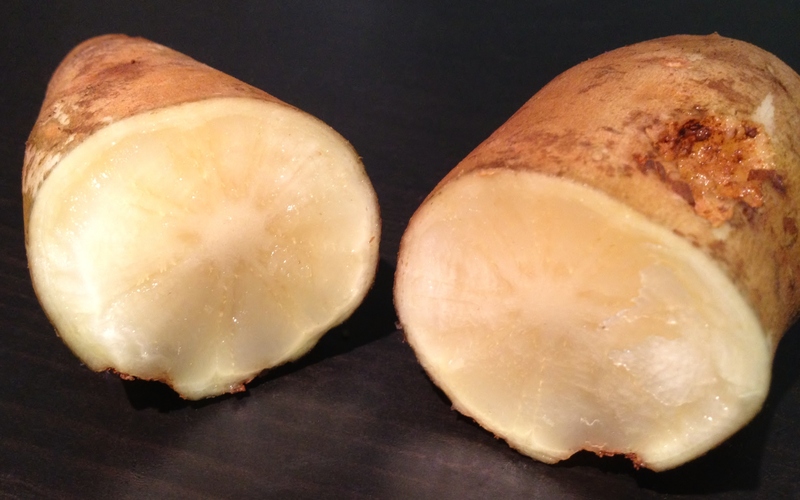 Yacon - Great sweetness without the calories! This summer a young banker was found dead for no apparent reason. It was known by his colleagues the gentleman was working both days and nights, only going home for a quick shower and to change his clothes. The taxi would be waiting for him outside ready to take him back to work. Increasingly employees report work tasks are being condensed and work demands increasing more and more. It appears the time to compensate for periods of high pressure are diminishing rapidly and do often not exist at all. In the past common slack periods, i.e. during the summer or Christmas period seem to have disappeared and business and demands are running on the same level all year round. Due to the economic situation employers face a tough challenge to keep prices competitive and costs low. For many companies this has resulted in staffing levels being reduced to the bare minimum to deliver every day services. As there is no spare capacity for any employee being off sick or on annual leave the person is greatly missed and their tasks are not carried out in their absence. An event appearing in the news this summer was the closure of the train stations in Germany as employees had annual leave for going on summer holidays and remaining staffing levels were not sufficient to keep the services running in a safe manner. As the human body is very well capable to perform over and above usual challenges or tasks for short periods of time, it becomes a great problem for the body and mind if the extreme demands continue over weeks, months or even years. Working beyond normal capacity and ability long term is not sustainable. The person will start to show problems and if no action is taken the body will start to shut down to demonstrate it cannot cope any longer. Common illnesses observed are high blood pressure, tinnitus, depression, anxiety, alcohol and drug abuse. There are early warning symptoms to indicate deterioration in a persons ability to cope and flagging up the need of action being required. There are well known trigger factors contributing to feeling challenged above sustainable levels and together with symptoms experienced this can provide a clear indicator of a person heading towards a burn out. A confidential consultation with an experienced Physician of the workplace to reflect on symptoms and trigger factors can be just the right way to change habits and prevent heading towards the point of no return. A number of health problems, i.e. multiple sclerosis, cancer, migraine and psychosis to name a few can cause significant impact on capability and carrying out daily life activities. In the workplace this can result in people experiencing the demands of the workplace as well as on top of the demands due to managing their medical condition. Some medical conditions, i.e. hearing problems, would make carrying out certain tasks, for example telephone work, far more difficult than it would be for a healthy person. Again this is putting the employee under additional demands and pressure. As a result people with significant health problems can show reduced capability and performance at work. The overall demands can impact on the stress levels they experience. Equality regulations in the UK try to help disable people overcome experiencing disadvantages in carrying out their duties at work. The onus is put on the employer to implement reasonable adjustments to overcome problems/impairments caused by health problems. Occupational Health would ideally be placed to advise on the interaction between the health condition(s) and work demands. It can also advise on any strategies, equipment or management that can be used to overcome disadvantages due to significant health problems. Many of you might have noticed the ornamental tree with the 2 lobed fan-shaped leaves with very clear veins. This gave it the name Maidenhair or the botanic name Gingko biloba (meaning 2 lobes)- it may also be spelt ginkgo. Leaves have been found in fossils and it seems that this very unique type of tree has been around much longer than humans. Its nuts also called "Silver Apricots" have been used in traditional Chinese medicine to help with lung problems like bronchitis, asthma or even a cough. Raw the nuts taste a bit bitter; however, in a stir fry the soft seeds with a very delicate flavour add a very nice taste to the palate. Be aware, nuts contain a toxin (4-O-methylpyridoxine) that can cause convulsions and should therefore not be eaten in large quantities. This nerve toxin cannot even be destroyed by cooking and no more than 5 to 10 nuts a day are recommended. As Paracelsus said "the doses makes it a poison"! Extracts of its leaves have been used for many years in medication to help with memory problems. Medical trials have not shown any effect in low doses but good effect on memory improvement at a higher dose. It has been used widely for many years and come under close scrutiny since more and more herbal medication has to prove its benefit in clinical trials. Leaf extracts contain a substance influencing the duration information transmitting substances stay active in the brain which influences the amount of information transmitted at a time. This can enable the brain to initiate actions. Gingko has also been used for dementia, against vertigo and seems to have an effect in cardio-vascular diseases like Raynaud's. Significant medical effect or not - we recommend to add some nuts to your dishes every now and so often for a tasty variation of your diet. 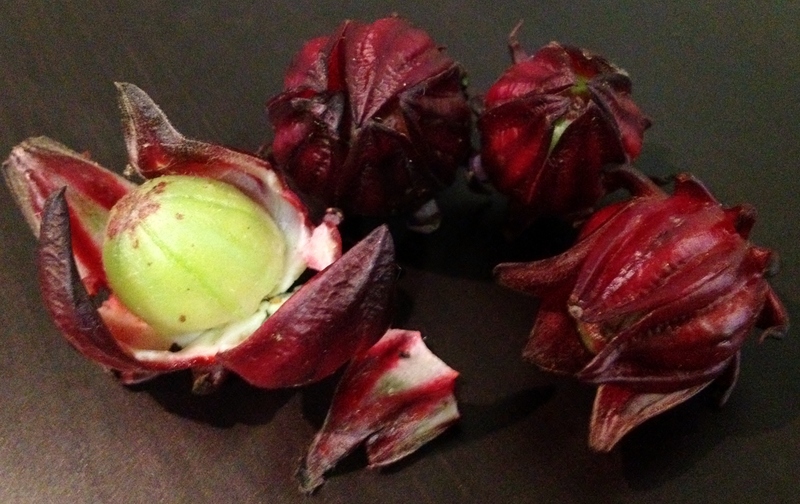 Roselle also known as rosella fruit or karkade is an hibiscus plant (Hibiscus sabdariffa L). Its red fleshy leaves under the petals (calyces) are used as red food colouring. Boiling in water produces a sour red liquid similar to black current and is used with sugar for tasty drinks. In the tropics it is used as a ribena substitute, which has earned it the name ribena fruit there. Roselle is high in vitamin C and antioxidants. In folk medicine it has a number of uses such as reducing high blood pressure, gall bladder problems, coughing, dyspepsia, fever and for wound healing. A variety of studies have looked into these properties further. Anti-hypertensive activity has been confirmed in more than one instance (http://goo.gl/rl05q; 12.09.2012, http://goo.gl/Aj1Pa; 12.09.2012). It seems to work similar to ACE inhibitors commonly used as blood pressure medication. About 10mg of roselle calyces seem to have the same effect on high blood pressure as 25mg Captopril twice daily (http://goo.gl/WZief; 12.09.2012). The similarity with ACE inhibitors suggests an additional beneficial effect on diabetes. Other studies investigated roselle's effect on blood cholesterol levels. They found a reduction in the "bad lipids" cholesterol and LDL with increasing the "good lipid" HDL (http://goo.gl/eLhyQ; 12.09.2012). With lower blood lipids it had an additional beneficial effect on the liver. Some components of rosella have shown anti-inflammatory properties (http://goo.gl/sqiGL; 12.09.2012) and anti-bacterial properties (http://goo.gl/YPcly; 12.09.2012) which would make sour tea a good drink when suffering a throat infection or fever. It has even shown promising results in preventing gastric cancer (http://goo.gl/WijDA; 12.09.2012). To have a refreshing drink of roselle or sour tea as part of your normal diet does seem to be beneficial for your health. One of Agatha Christie's favourite poisons is cyanide. Every reader knows it causes abdominal discomfort and vomiting. It can also cause vertigo or cause someone to collapse. Chronic cyanide poisoning with little amounts at a time can lead to nerve problems impacting on coordination. Using fairly inauspicious food with cyanide would be tapioca. Little balls of tapioca are commonly used in bubble tea. Tapioca, a starchy tuber growing without high demands in water or rich soil, is excellent food for tasty dishes. If you want to enjoy its taste you better soak it in water for a day and cook properly to remove the cyanide. The bitter versions of it are usually higher in cyanide content compared to the sweet varieties. 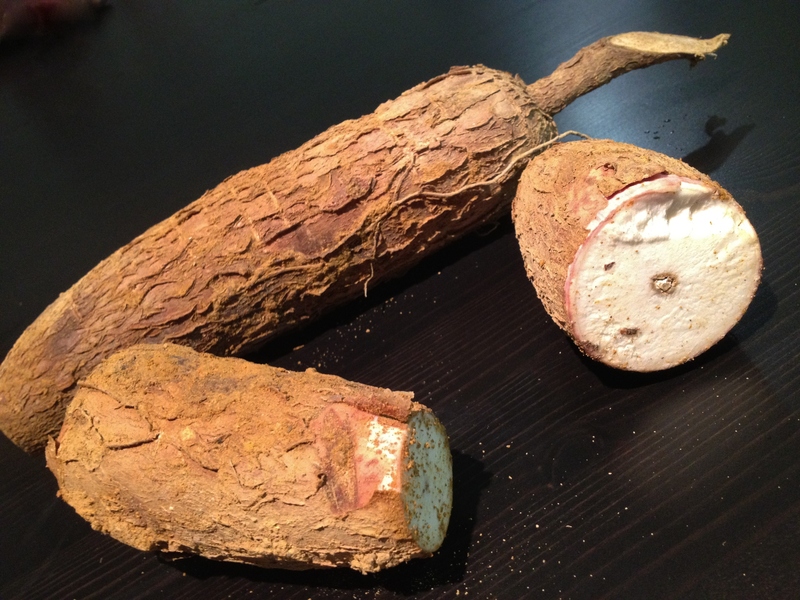 Tapioca tuber also known as manioc or cassava can be used as a thickening agent for dishes. It is gluten and nearly protein free. More than 50% is water with about 25% volume of starch. It has very little vitamins or minerals and not much flavour of its own. However, flavours can easily be added to the tapioca to provide a sweet hot spicy taste, providing delicious dishes and desserts. Its calorie content is similar to soybean with about 160 calories per 100g. Why not try peeling, washing and soaking the tapioca then halving and removing the core; grate and set aside. Take a pot and melt some butter (100g) with 2 tablespoons of honey and a pinch of salt. When the honey is well dissolved add the tapioca and stir for about 10 minutes. Take a banana leaf (or aluminium foil) and cut into squares of about 15x15cm. Fill a spoonful of tapioca paste in the middle and fold neatly to form a parcel. It is important not to leave any holes! Put in a steamer and steam for 15 minutes. Leave to cool down to touch and present the parcels to your friends. Make sure you have enough so you get one yourself! Nuts are usually rich in vitamin B supporting good bodily functions. Water chestnuts are the seeds of water plants growing in fresh water ponds all over the world. 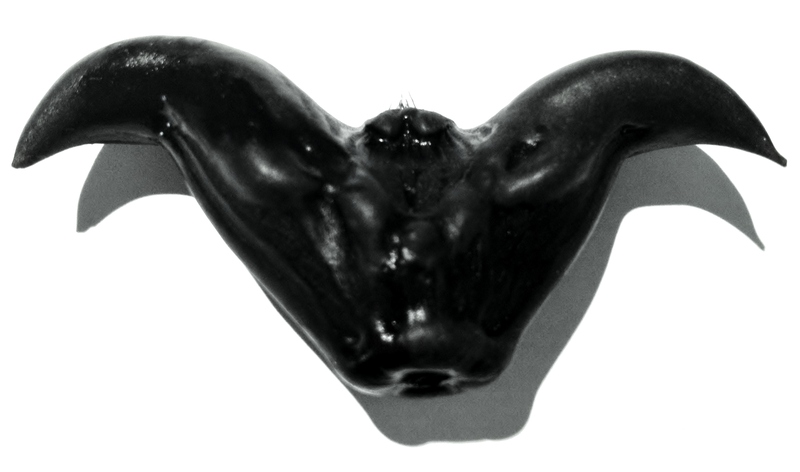 A most spectacular appearance shows the horned water chestnut also called "Buffalo nut" or "Bat nut". It is in contrast to other nuts lower in calories and very starchy. It is rich in antioxidants which capture free radicals that might otherwise cause damage to blood vessels and consequently foster arteriosclerosis. It is additionally rich in vitamin C and has a good amount of iron and foliates that are in great need during pregnancy. Despite being starchy the horned water chestnut is gluten free and therefore helpful in complimenting a gluten free diet. In Chinese medicine they have been recommended to help reduce a fever. In folk medicine they are helpful to minimise constipation and lower bad blood lipids. However, studies to support these properties are not easily available. 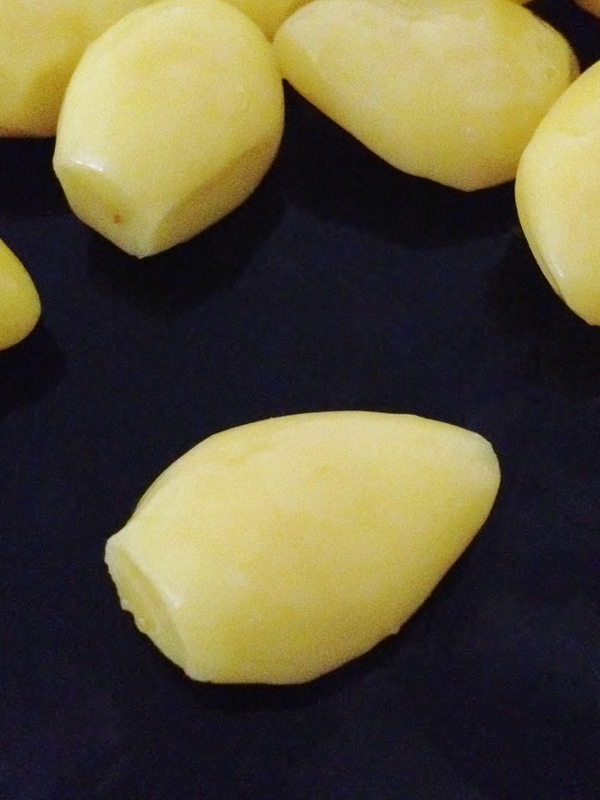 The little tuber from the Andes might not look like much but it is a crisp, sweet-tasting fruit, ideal for a snack. Known as "Peruvian Ground Apple" the root has been known since Inca times to be an easy source of water for travellers. The translation from Inca language is "water root". In recent years this root has become more and more of interest in the developed world as diabetes numbers and obesity are rising. The sweet flavour of the yacon is due to inulin a carbohydrate which can usually not be broken down by human enzymes. This means other than starch, fruit sugar fructose or glucose the body cannot absorb the carbohydrate and transforms it into fat. People with diabetes mellitus can enjoy the sweet taste but their blood glucose levels are not changed. This makes yacon an ideal food for people depending on stable glucose levels and those trying to limit calories to maintain or reduce weight. The watery juice is also sold as syrup to sweeten pan cakes or adding a sweet flavour to salads. Yacon can be eaten raw like an apple with a crunchy texture and its sweet and slightly nutty taste. Chopped into small pieces it is an ideal addition to stir fries or can be enjoyed steamed. Why not try this South American salad? Mix chopped yacon, pineapple, papaya and mango and dress with a bit of orange and lime juice. Cool and enjoy! Many people of the western world suffer from one or more allergy. Allergies occur due to release of histamine from body cells which results in a local increase of blood flow, swelling and itching. To limit the effects anti-histamine medication is available over the counter or as a prescription. Be aware they can make you tired or drowsy even those labelled non-drowsy. What would you say if there is a way to limit the amount of histamine in the first place? Histamine is a result of ageing and we eat histamine every day with our food. As a rule of thumb the fresher the food the less histamine it will contain. Food canned, smoked, pickled or preserved in other ways is subject to ageing in various degrees and the ageing process increases the histamine content. 1. Food can naturally be rich in histamine. 3. Food can block the enzyme deactivating histamine and therefore extending the time the effects of histamines show. Food for all 3 of these routes can result in an increased level of histamine in the body and an increased likelihood to react or over react to any potential allergen. Some people have a problem to deactivate histamine in their body resulting in an over shooting allergic reaction; however, this is rare. Would you like to try a low histamine diet? Minimise the intake of fermented food; for example, coffee, black tea, chocolate, alcohol and vinegar. This includes food made with vinegar like ketchup, mayonnaise, pickles and dressings. Fermented cheese that needs cutting is 'aged/old'. Soft cheeses are 'younger' with lower histamine content. Some food is naturally high in histamine; for example, beans including soya, any soya products, pulses, nuts, seeds, tomatoes, bananas, yeast and any yeast product including toast and sandwiches. Have a go, try the low histamine diet for 2 weeks and see what happens! We would be happy to hear you response and comments. Please click here to send us your information.